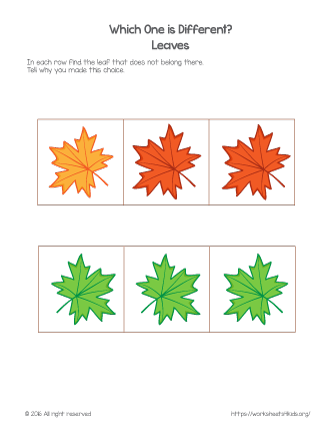 On this worksheet, kids examine each row and find which one is different and why. What is different? Color or direction? Let them decide and prove their choice.